Vintage Japan Seiko 5. 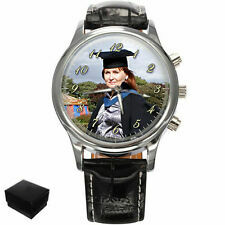 Automatic Gorgeous 24H Railway Time Day Date Mens Watch. Seiko Divers Watch, 200m stainless steel strap, comes with extra links, watch only worn twice as new condition. Dispatched with Royal Mail special Delivery. Brand Seiko Gender Men's Style causal Model SARB017 UPC 4954628590008 EAN 4954628590008 Movement Mechanical (Automatic) Water Resistance Rating 200 m (20 ATM) MPN Does not apply. Hands: Blue (More a very dark navy that always look more black). Watch Crystal: Mineral crystal. Dial: White/creamy sunray (Very light cream & more white - gives it an expensive look). Case: Stainless steel polished & brushed case. SEIKO 5 SNK807K2 7S26 FLIEGER MILITARY AUTOMATIC WATCH BLUE DIAL. BNWT. Dark Blue dial. Regulated 24hrs scale. 5 out of 5 stars - SEIKO 5 SNK807K2 7S26 FLIEGER MILITARY AUTOMATIC WATCH BLUE DIAL. BNWT. 15 product ratings15 product ratings - SEIKO 5 SNK807K2 7S26 FLIEGER MILITARY AUTOMATIC WATCH BLUE DIAL. BNWT. SKZ211K1 SKZ211K SKZ211 SKZ2 SKZ, Seiko watch, watches, Land Shark, Atlas. Seiko are unique in that they manufacture every aspect of every watch in-house, with this ruthless pursuit of perfection even including growing their own quartz crystals and sapphires. SEIKO 5 SNK809K1 7S26 FLIEGER MILITARY AUTOMATIC WATCH BLACK DIAL. BNWT. Gloss Black dial. Regulated 24hrs scale. Stainless Steel Case. 5 out of 5 stars - SEIKO 5 SNK809K1 7S26 FLIEGER MILITARY AUTOMATIC WATCH BLACK DIAL. BNWT. 24 product ratings24 product ratings - SEIKO 5 SNK809K1 7S26 FLIEGER MILITARY AUTOMATIC WATCH BLACK DIAL. BNWT. Seiko 21-Jewel Automatic 7S26 (self-winding). Great Seiko! Brushed and polished stainless steel case. Stainless steel link bracelet, deployant clasp. These are great watches. Increasingly becoming harder to find. The green dial and luminous hands and markers very good condition. this watch is in good condition for it's age. new black leather strap fitted. New listingSEIKO 5 SNKK25K1 21 JEWEL "WHITE RACER" SPORTS WATCH. AUTOMATIC. BNWT. EXCELLENT SEIKO QUALITY. White Dial. See Through Case Back. Stainless Steel Case. Approximate Case Thickness 11mm. New listingSeiko men's Stainless steel dress watch SUR249P1 BRAND NEW / BOXED RRP £239. 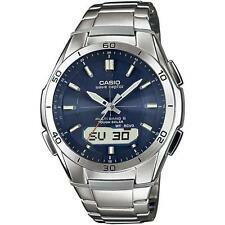 Seiko men's Stainless steel dress watch SUR249P1 BRAND NEW / BOXED RRP £239. Supplied in original Seiko box (box may vary from image). Specification Brand:Seiko Analogue/Digital:Analogue Case depth approx. 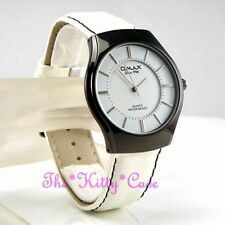 :10mm Case Material:Stainless Steel Case Shape:Circle Case width approx. :41mm Date Function:Yes Gender:Gents Movement:Quartz Strap Type:Leather strap Water Resistancy:100 metres EAN:4954628217547 Watch will be securely packaged for posting. Photos really don't do the 009 justice - you need to get your hands on this watch to appreciate how great that bezel looks! Look after it and it'll retain value. Don't miss out on this opportunity to own this great iconic Seiko diver in new, unworn conditon! Back case. Seiko scuba divers 7002 divers serial number 360369. Watch model. Seiko 150m 7002 17 jeweled divers. 2.All watches have been serviced to a super high professional standard. Watch crystal. Hardlex Glass scratch resistant. An iconic watch from Seiko. Thickness: 11.84 ㎜. 5 bar water resistance. Stop second hand function. Water Resistance Power reserve: Approx. Anti-reflective coating on inner surface. Model SKA747P1. date, 100m water resistant, hands glow, rotating bezel, kinetic. the watch is in excellent condition and very clean with the protective sticker still on the back casing and may have a few faint marks to the strap. Great watches whichever design you choose from the Seiko `5` range. Black dial. THERE IS NO RESERVE. NO BUY IT NOW. IT WINDS AND IS FULLY AUTOMATIC THE BRACELET IS A GOOD SIZE ITS IN FANTASTIC CONDITION AS YOU CAN SEE A SUPER RARE WATCH. Model sks481p1. date, chronograph, 100m water resistant. case size 4.3cm wide without the crown. Seiko Prospex Chronograph Solar Powered Watch SSC261P2. Watch is in mint condition, check photos Comes boxed but no papers as these have been misplaced. 100% Genuine Seiko Watch guaranteed or triple your money back Will post via special delivery. New listingSeiko Daytona MK1 " RARE SUPERB AND UNIQUE "
Seiko Daytona MK1 " RARE SUPERB AND UNIQUE ". Condition is Exceptional, this Rare watch has had a New Top Quality S/Steel Bracelet fitted and a New different style bezel added which makes the watch look Amazing (Original bezel include but does have little marks).These are Rarely seen for sale in this condition,please study the photo's closely to see how good it is.The watch also comes with a Nato Style strap to give the wearer an option.New battery fitted and ready to go. Doubt there is a Better example for sale Anywhere !!! The Seiko SARB035 has a stainless steel case that’s glossy and polished. A great men's watch for casual and formal occasions, the case’s round shape pairs nicely with apparel that has dark or bright tones. The process of securing this white wrist watch in place is simple because the band has a clasp that folds automatically. If you wear the accessory frequently outdoors, you won’t scratch the outer coating because it’s made out of a tough crystal material. The analog Seiko SARB035 is water resistant, so you can keep it on your wrist while you swim. During dinners and business events, this Seiko watch will attract a lot of attention because a logo is located on the strap, crown, dial, and clasp. .
seiko mens chronograph watch. Brand New. Has Guarantee And All Boxed. Model Number SMY117P1. Gift Box Seiko. Watchband Stainless Steel. Case Stainless Steel. 24 Hour Counter No. 50m / 5 ATM A watch with this level of resistance is wearable around household sinks, while playing sports and while swimming in shallow water. 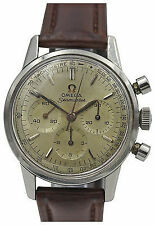 Mens seiko automatic watch and seiko chronograph watch. Condition is Used. Dispatched with Royal Mail 2nd Class. Seiko Flightmaster Watch SNA411P1 - new with tag. Solar powered. Water resistant 100m. Genuine Seiko Solar chronograph Gents watch, 650005. Black coloured dial, with cream coloured markers, date window. stainless steel bracelet, which measures 15.5cm approx from lug to lug. The whole watch measures 21.5cm approx on the outside. Minor scratches to bezel, bracelet & back of watch, due to wear & tear. Full working order. This is a pre owned item, please be aware that I can not guarantee this watch is water resistant or water proof. Unboxed, no papers. See photos for more details. Model SKA695P1. kinetic, date, 100m water resistant. i have also fitted a new black leather strap but it isnt a seiko strap. the watch is in excellent condition with 2 very tiny scratch on the glass and a few small scratches on the back casing. 4.3cm wide, the interior size of the watch is approx. 330Ft (100m) Water Resistant. DIAL: Black Dial. Silver Hands and Large Markers with LumiBrite features on them. Sweeping Second Hand with Luminous End. Total Length: 210mm. Screw Lock See Though Case Back. Gents Seiko Day Date Automatic 7s26 Wrist Watch. Gents Seiko Day Date Automatic 7s26 Wrist Watch.. Condition is Used. In good running order. Dispatched with Royal Mail 2nd Class. Seiko Mens Solar Chronograph Alarm Watch SSC081P1. Excellent condition. Watch comes with instruction manuals but not the original Seiko presentation box. Condition is Used. Dispatched with Royal Mail Special Delivery. Originally listed at the end of February, I realised after listing it that it wasn't running and removed the listing. It turns out that it had just run out of charge, which I've now sorted. EDIT: I did not replace the battery, merely recharged it. Large coin edge 44mm case. Stainless steel case and bracelet. 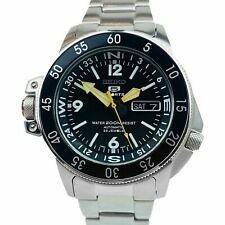 New Seiko 5 SNZG15J1 JDM Automatic Military Style Watch, next day delivery! SNZG15J1 SNZG15. Seiko Stainless Steel Case. 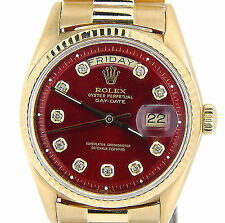 An ideal automatic watch to wear just the way it is or it can be used for any modding project. To start the watch initially, swing it from side to side in a horizontal arc for about 30 seconds. 5 out of 5 stars - New Seiko 5 SNZG15J1 JDM Automatic Military Style Watch, next day delivery! 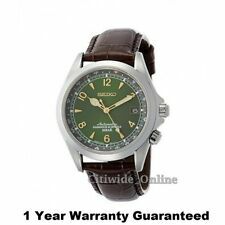 7 product ratings7 product ratings - New Seiko 5 SNZG15J1 JDM Automatic Military Style Watch, next day delivery! Seiko 5 automatic mens watch with glass back. Good working condition. Very light scratches on bracelet and glass. Would benefit from having glass polished or replaced. A contender as the world’s first automatic chronograph is the Seiko 6139. Production of the 6139 line up ended in 1978 and this is one of the later models. Seiko 6139-6002 Pogue Chronograph Blue Sunburst Dial. Age Modern (2000-present) Case Material Stainless Steel Watch Shape Round Style Dress/Formal Band Color Silver Case Color Silver Case Finish Brushed Case Size 38mm UPC Does not apply Brand Seiko MPN SARB033 Band Material Stainless Steel Movement Mechanical: Automatic Features Day & Date Gender Men's Display Analog EAN 4954628403568. Great watches whichever design you choose from the Seiko `5` range. Vintage Seiko 5 Automatic Movement No. 7009 Japan Made Men's Watch. SEIKO 5 Automatic Vintage Japanese Gent's Watch.6119-7083. Make a statement when you wear one of these handsome seiko men's watches. These seiko watches are often wider with larger faces for an eye-catching appearance. Bracelet/link band wristwatches have interconnecting links for a beautiful accent piece. The easy to put on bands have an elastic design, allowing you to alter its size to more comfortably fit your wrist. While similar to watches with NATO straps, zulu strap wristwatches are made with one long, tough band and usually crafted from leather or nylon and have round buckles. Thanks to their larger sizes, the bands are great for watches with bigger faces. Automatic movement watches showcase the perfect combination of traditional design and ease of use. They are very low-maintenance for added convenience. Quartz movement wristwatches will be wonderful additions to any jewellery collection. The movements are renowned for their accuracy and precision, making these watches especially reliable. Watches with sapphire crystals have sapphire crystals, and chronograph watches can operate as stopwatches in addition to standard watches for added versatility and functionality. Watches with day indicators are practical and versatile accessories that are great for wearing all year round. Watches with alarms are useful accessories that you can wear all day long. What are some top selling seiko men's watches to choose from on ebay?